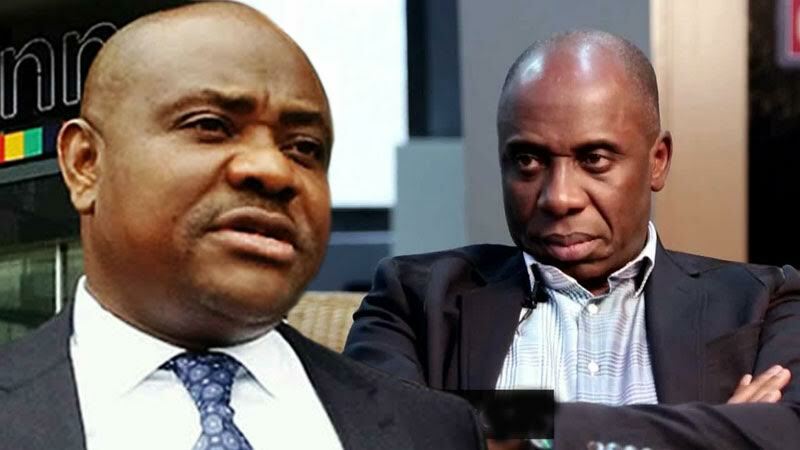 It all started with Wike who yesterday alleged that each commissioner and local government chairman in Rivers State paid Amaechi's wife, Judith, the sum of N3m and N2m monthly while he was in office. Amaechi who is in Kaduna state for the commissioning of the state's Inland dry port, spoke with newsmen and stated that the allegations were false. "By accident of Goodluck Jonathan, I don’t want to attribute it to God but by the accident of Jonathan, the man takes office and talks rubbish. My wife and family including my younger brothers and sisters, no one had access to government when I was governor.